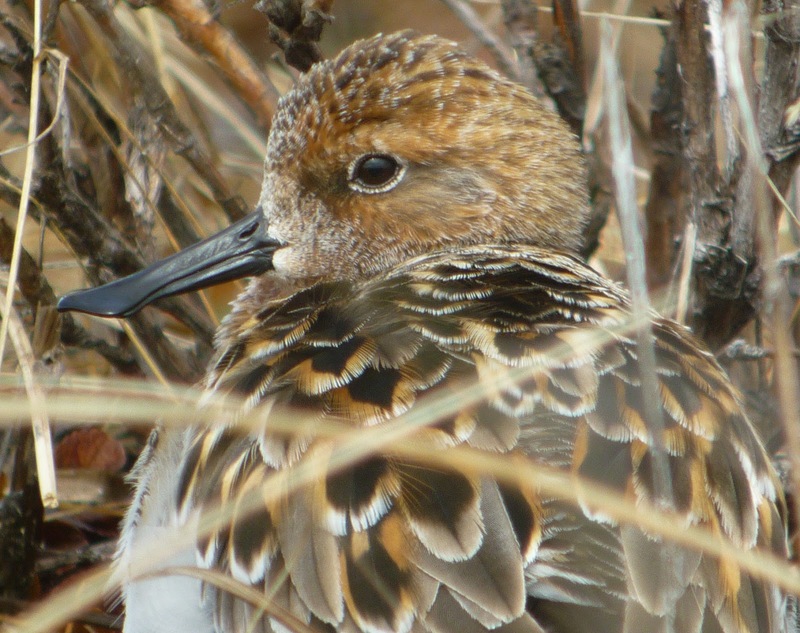 Wader Quest: Update on the Spoon-billed Sandpiper eggs at Slimbridge. Update on the Spoon-billed Sandpiper eggs at Slimbridge. In short, it is not all good news but it is by no means bad news either. The unfolding story at Slimbridge is still a remarkable achievement by the captive breeding team. A total of seven Spoon-billed Sandpiper eggs have been laid at Slimbridge this year. One clutch with just three eggs looked very fragile, the thin shell had not properly formed and was allowing too much water to exit the egg. 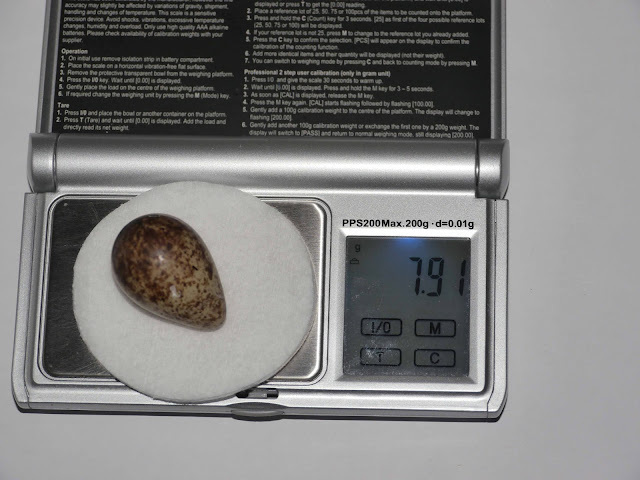 These three eggs were put into a humid incubator and two of them levelled out, losing moisture and weight at an acceptable rate. One of the eggs with the softest shell sadly soon gave up the ghost and collapsed. The four egg clutch looked perfectly normal and they were placed in an ordinary incubator. All six remaining eggs were then examined on the 21st of June by a method called candling where light is shone through the egg to reveal what is going on inside. In a fertile egg you would expect to see blood vessels and an embryo by this stage. 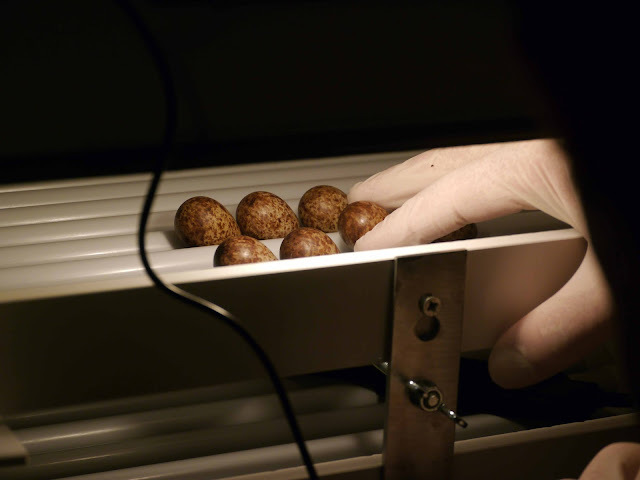 Spoon-billed Sandpiper eggs in an incubator. Photo WWT Martin McGill. Surprisingly one of the two abnormal eggs was showing a viable embryo and blood vessels, the second was, not unexpectedly, clear. Of the four normal eggs the first three worryingly showed no sign of development but the fourth egg again showed blood vessels and an embryo. Whatever happens from now on this year, the project has made a giant leap forward with the production of these eggs, remember there is no instruction manual for the team to work from, indeed they are writing it as they go along. The breeding team are to be congratulated and admired, they have made history and more importantly made the extinction of this amazing little sandpiper less likely by degrees!